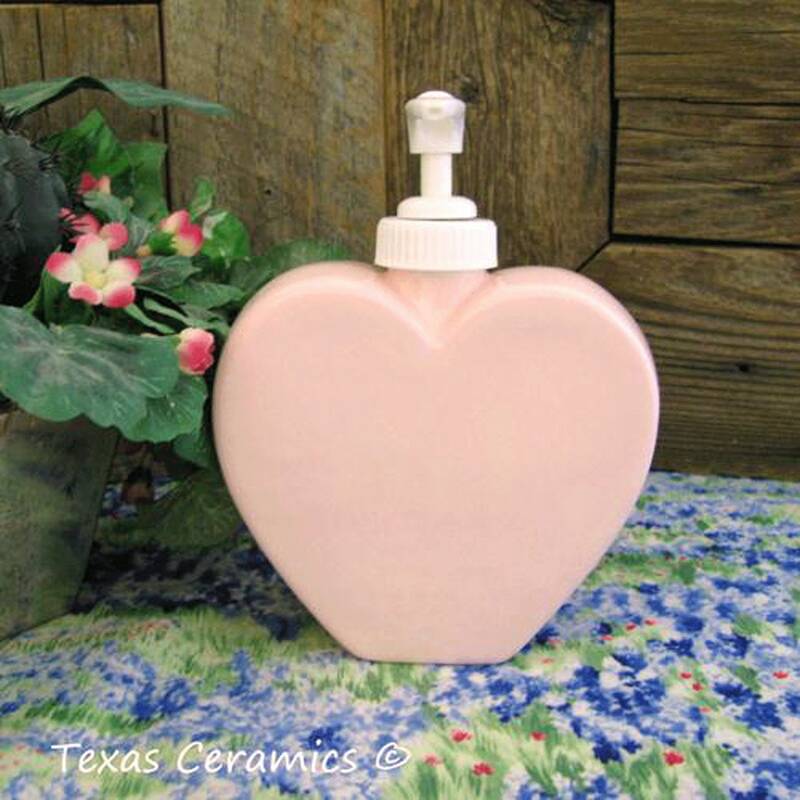 This Pink Heart soap dispenser is perfect for gift giving this Valentine's Day. 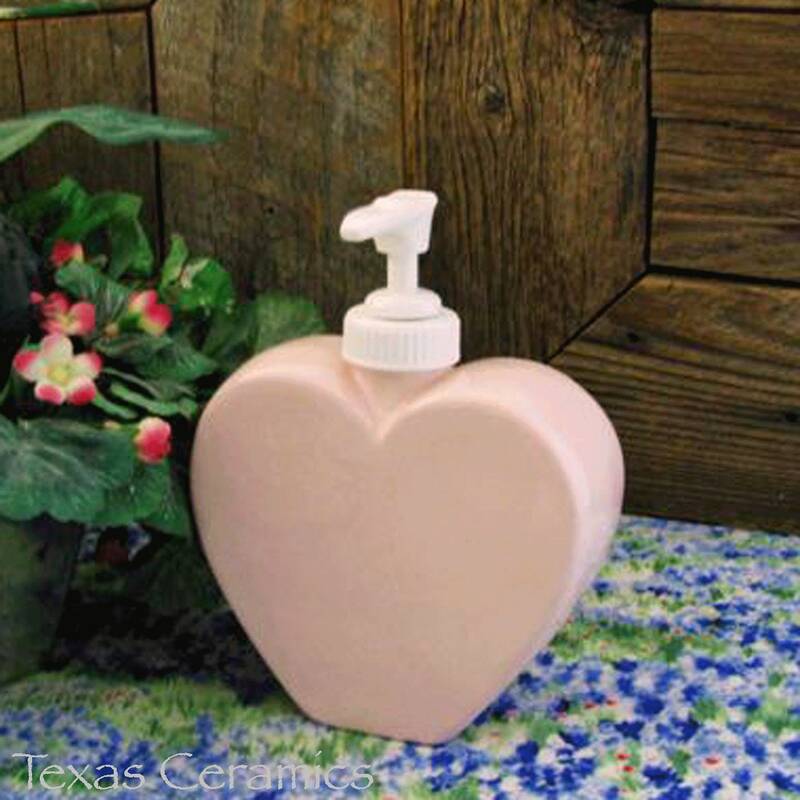 Ideal for keeping a favorite body or hand lotion or liquid soap. 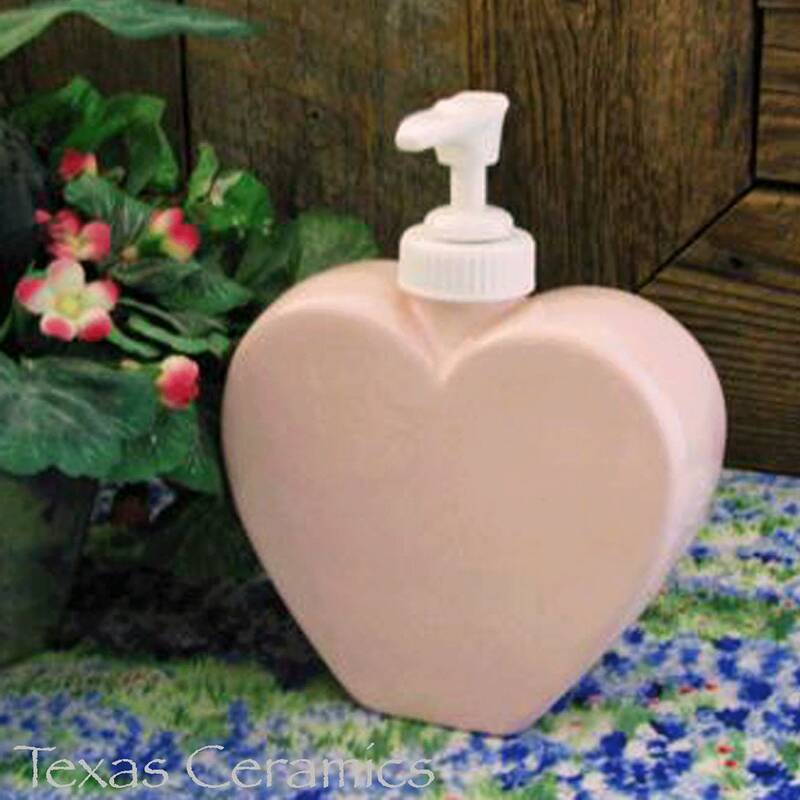 This dispenser will help keep a bath vanity neat and tidy as well. 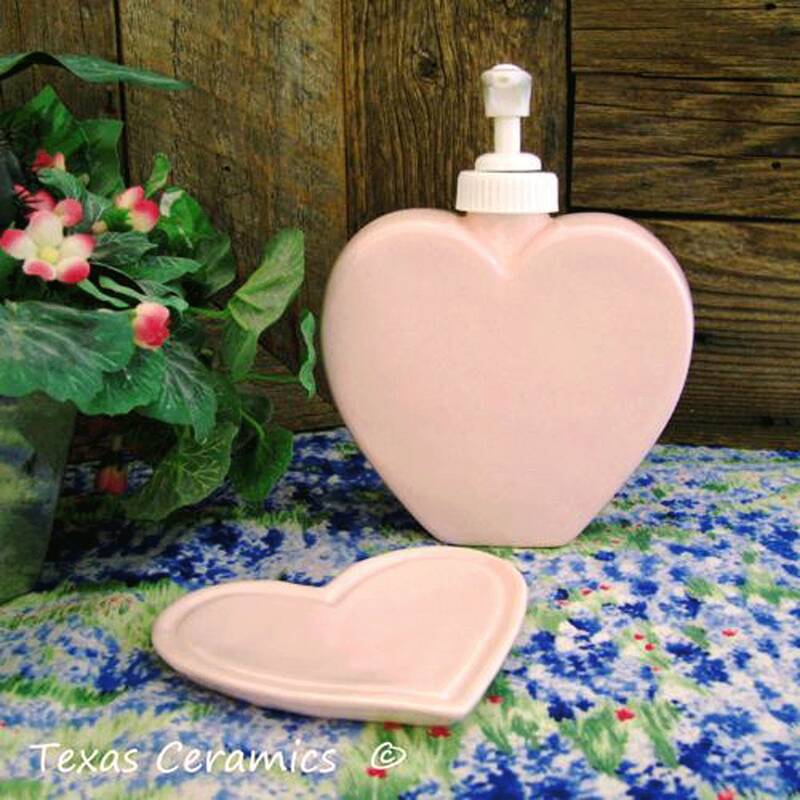 Also great in the kitchen or on a bedroom dresser. All glaze is lead free. Made to Order, the processing time is below in the Shipping Section. 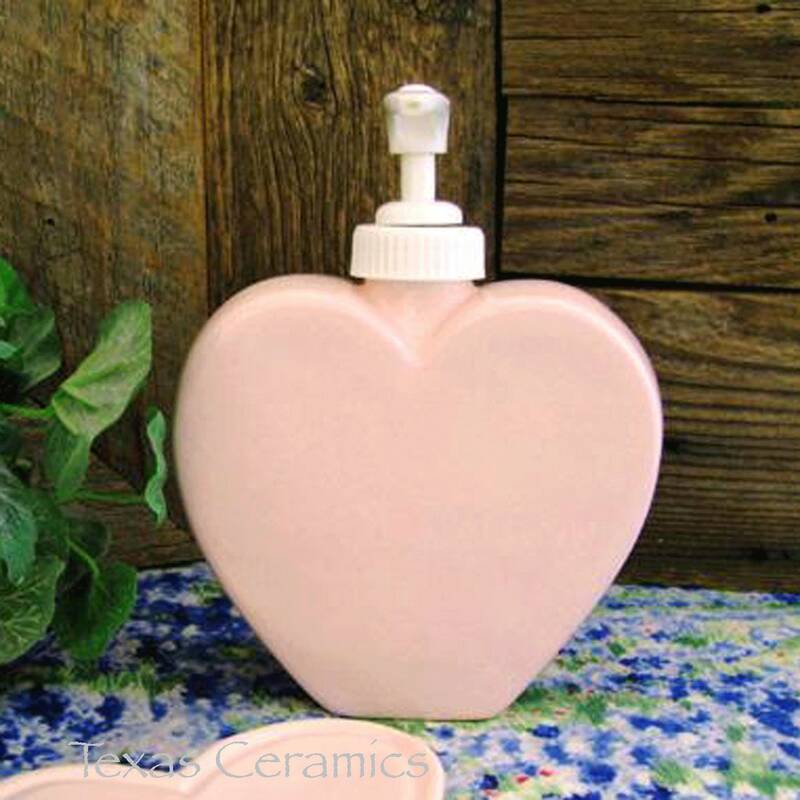 This ceramic heart dispenser is made of domestic slip. Each piece is kiln fire to bisque then glazed with lead free glaze. To help keep this dispenser in pristine condition the inside is glazed. By glazing the inside the dispenser is completely waterproof so moisture from liquids can't be absorbed by the unfinished surface. Wares that absorb moisture are more likely to have the outside surface flake and peel. Coordinating heart items available. Well made and beautiful. Love the color. Thank you! very happy customer, I love it, just what I was looking for. sorry for the delay on this.